China is the expanding world superpower and the market where everyone wants to sell. Chinese wine consumption is forecast to grow seven times faster than the average for the rest of the world, and this year the citizens of the People’s Republic are expected to drink 766 million bottles. Wine-pages Columnist Stuart Walton has returned from a trip to China, where he observed the Chinese at work and play, and considers their attitude to wine. There will never again in history be a virgin territory as vast and populous as China for wine to conquer. 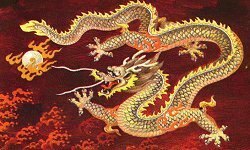 The most rapaciously tigerish of all the east Asian economies, growing (until recently) at 10% per annum, has proved fertile ground for any number of western companies in the high-end sector of the market. Designer clothing, jewellery, sports cars and premium spirit brands are all in ostentatious evidence in the malls and plazas of Beijing and Shanghai. Wine, however, has lagged somewhat behind the curve. The smaller streets of downtown Beijing may be home to luxury gift shops selling single malt, XO cognac and plutocratic cigars, but what bottles of wine there are among them are surprisingly humdrum stuff in the context, often from the big international brands. Try the basement food and drink areas of the Parkson’s department store chain, or the somewhat more everyday environs of Olé supermarkets, and you will find bona fide wine sections. At the Olé in the lower ground floor of Oriental Plaza, at the bottom of Wangfujing Street, number one tourist trap in the Chinese capital, I stumbled upon fine burgundies and classed-growth clarets, as well as such unexpected delights as a 2001 Minervois, which had assumed something of the reductive dignity of an ageing Châteauneuf. Prices are gaspworthy, though. That Minervois might have been considered past-it by a British wine merchant, but was the equivalent of £15 in Olé. A half-decent Chianti Riserva 2005 was about £21. This is a commodity that is announcing its niche status loud and clear. There can’t be much call for Tuscany’s finest among the shoppers filling their baskets with dried jellyfish and canned eel. Some of the newer restaurants and hotels boast wine lists worth the journey, but it isn’t too hard to work out what becomes of those retail prices once you factor in the sumptuous views of an 87th-floor bar, or the duskily lit ambience of a fusion-cuisine restaurant. 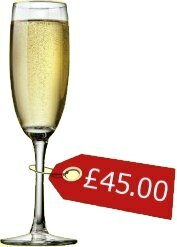 You might as well have a glass of Moët et Chandon NV for £15 when it’s no more expensive than a glass of New Zealand Sauvignon.I balked at the £45 or so the Shangri-La in Shanghai wanted for a glass of Krug, but then every party has its pooper. What is altogether fascinating is what the Chinese themselves make of this. 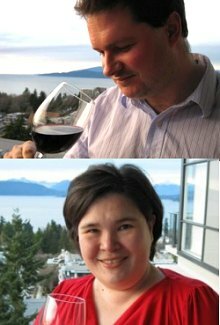 Edward Ragg and Fongyee Walker (left) are Beijing- based wine consultants and educators. Having met at the Cambridge University tasting club, they headed east in search of unexplored pastures. I commented to them that I had come across a fair bit of out-of-condition wine while in China. Is there a true understanding of how wine should taste? “There’s a lot of work still to be done,”said Fongyee. “You still come across ancient bottles of Soave being described as having taken on a beautiful rich golden colour.” The gold of advanced oxidation, of course. Stories of Chinese businessmen taking the edge off the Mouton by adding a sweetening slug of Pepsi still do the rounds, though I have to say I never witnessed any such practice. Had I done so, it might have been tempting to follow suit, if only in the interests of research. Huge amounts of corked wine came my way as I criss-crossed the principal cities’ gastronomic scenes, but I have to say there was usually genuine understanding – at least in the more upscale establishments – of what the problem was. A corked Riesling from one of Alsace’s premier growers was swiftly replaced with a glass from another bottle in the Cloud Nine bar at the Grand Hyatt, Shanghai, and then, half-an-hour later, a glass of the same grower’s Gewurztraminer was equally promptly withdrawn at Jade in the Shangri-La. I’d say the Chinese appreciation of wine is at about the same level as the Japanese were with western-style wine in the 1970s. The moneyed and the socially ambitious want in. But I still think it will be a while before we see those shoppers in Olé putting a bottle of Sauvignon Blanc in the basket to go with tonight’s dinner.